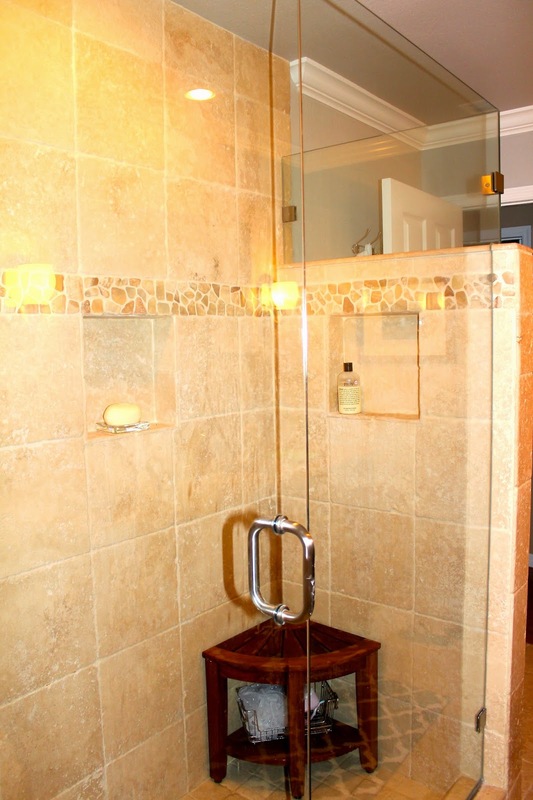 When we began our bathroom reno we really wanted to put in a nice big garden style tub. But, given the limited space, that wasn't possible. And the standard tubs to me really aren't great for anything…except maybe bathing a baby! They're too small to lay down in without your feet hitting the end of the tub! Unless you're super short, which we're not! Also, we hated the wall that kind of hit you in the face when you walked in the room. So our wheels started turning and this is what we came up with. 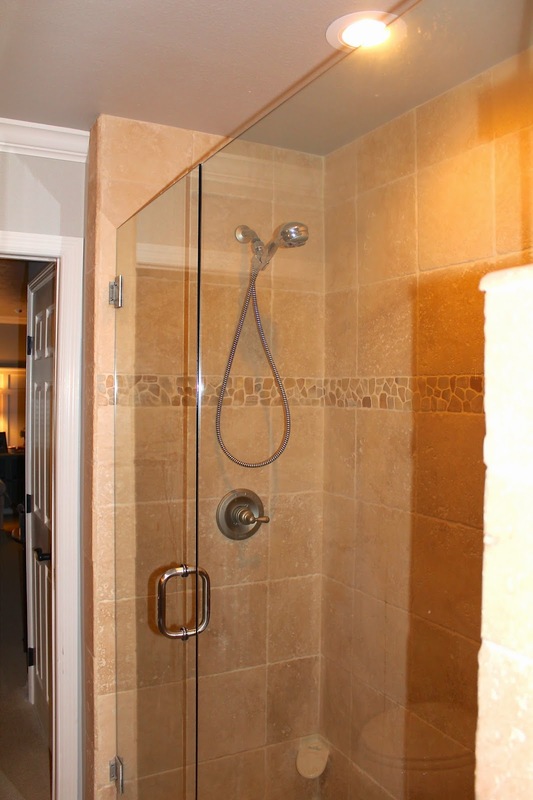 We removed half of the wall that you see when you come into the bathroom and made a walk in shower with a frameless shower enclosure. 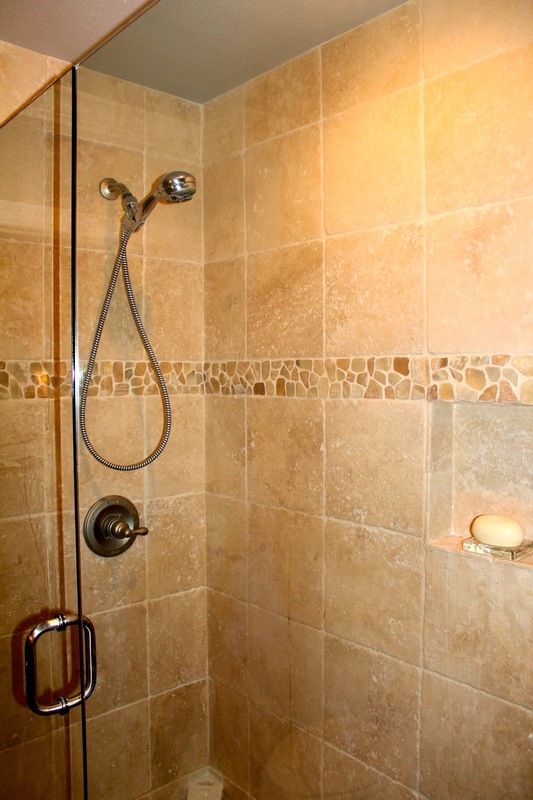 To this day I love my shower! I don't know how it would be for re-sale with no tub. But, we're probably not going anywhere, so we're happy! Click on photos to enlarge. You can now pin your favorite photos by just hovering over the picture and a "pin it" button will appear! 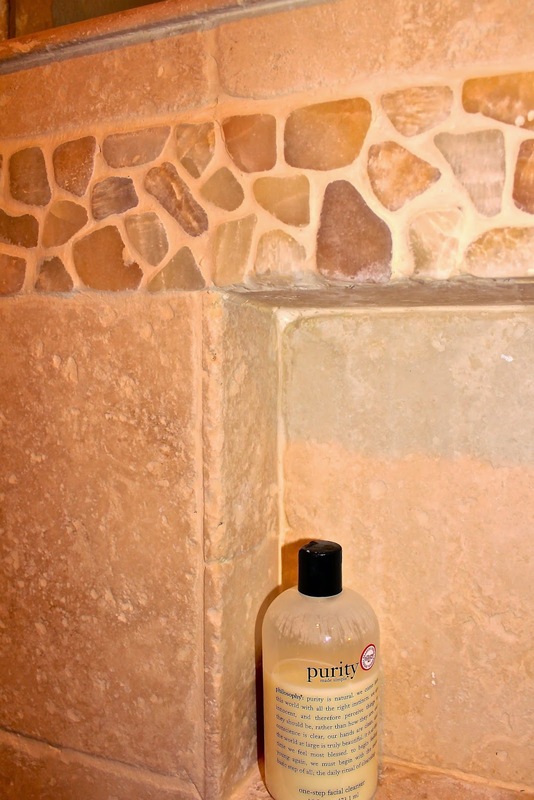 View of the half wall from inside the shower. That's the top of the door to the bathroom in the top of the picture. 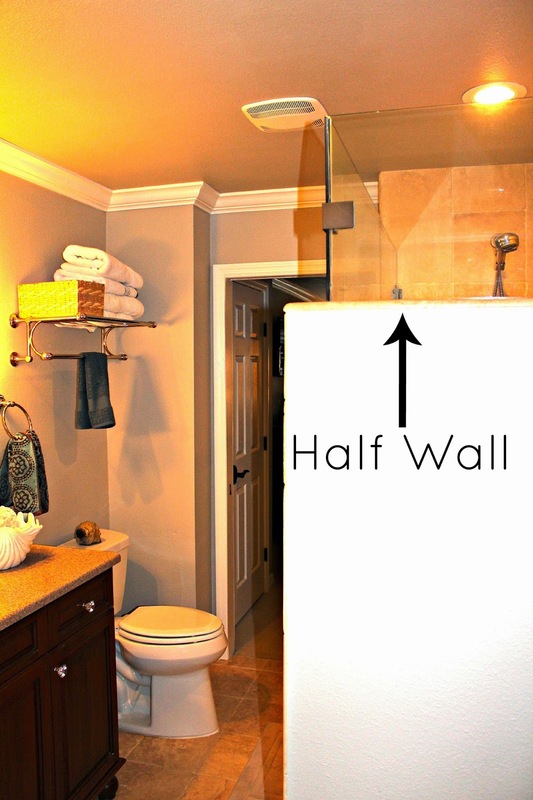 Opening up that wall visually made the bathroom feel larger! And using the frameless glass also makes the room feel more open. Not to mention there is no aluminum tracks for nasty, disgusting crud to build up! Gross! These doors have stayed in perfect condition for 7 years! Although they are more costly, they're worth every penny! So that's it! Hope you enjoyed this little tour…of the other side!